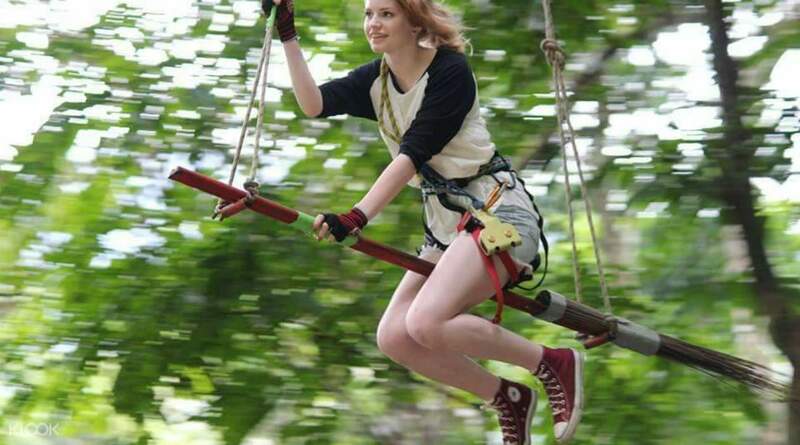 Swing from the trees at Krabi's most exciting adventure park! 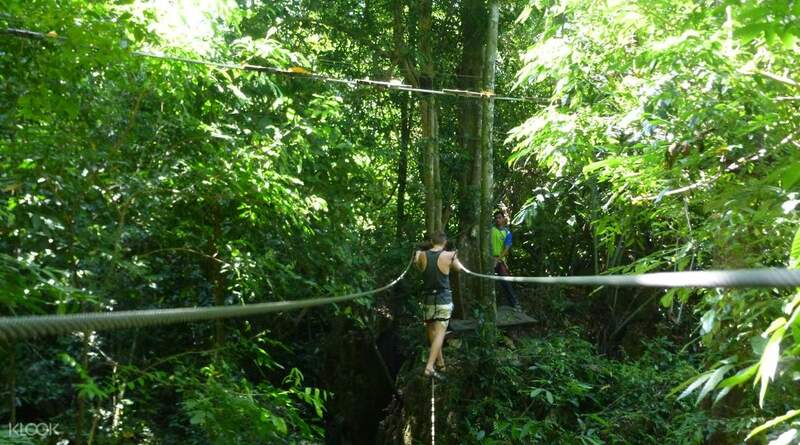 Try tight rope walking, take a dive on the tarzan swing, go ziplining, hop on a flying skateboard and more! It is a Funny and exciting activity ! Well hidden in a dense jungle and protected by limestone cliffs, the Tree Top Adventure Park Krabi may seem like a quiet paradise for an uneventful day. But this could not be further from the truth. Filled with exciting activities from ziplining to tarzan swings, the Tree Top Adventure Park has all an adrenaline junkie could wish for. Here, you get to ride a flying skateboard, test your skills as a tight rope walker, reenact scenes from Indiana Jones on rope bridges and more. Complete with convenient pick ups throughout the city and a refreshing lunch with stunning park views, your visit to Tree Top Adventure Park Krabi is sure to be memorable. everything about this trip is awesome. though slightly delayed in the pick up but all is good. staff were very nice and helpful and always emphasize on safety! great experience and scenery from above. everything about this trip is awesome. though slightly delayed in the pick up but all is good. staff were very nice and helpful and always emphasize on safety! great experience and scenery from above. Loved it! 4 stages with plenty of zip lines and super fun obstacles . Team was extremely friendly. Highly recommended ! Loved it! 4 stages with plenty of zip lines and super fun obstacles . Team was extremely friendly. Highly recommended ! There was a bit hiccup with the hotel pick up as we were totally forgotten. My hotel reception in the end has to call Top Tree directly. At first they responded like no we don’t know any booking from Klook we don’t know any pick up today at your hotel. In the end I asked them to check my last name and suddenly they said oh right. We ended up have to wait for another half hour to be picked up. I think there is very poor communication between Klook and the service provider. As for the activity itself, it was excellent. The coaches are very professional. They really put safety first and gave clear instructions. If you want to be more adventurous on this land of beach and sunshine, Tree Top would be the best. There was a bit hiccup with the hotel pick up as we were totally forgotten. My hotel reception in the end has to call Top Tree directly. At first they responded like no we don’t know any booking from Klook we don’t know any pick up today at your hotel. In the end I asked them to check my last name and suddenly they said oh right. We ended up have to wait for another half hour to be picked up. I think there is very poor communication between Klook and the service provider. As for the activity itself, it was excellent. The coaches are very professional. They really put safety first and gave clear instructions. If you want to be more adventurous on this land of beach and sunshine, Tree Top would be the best. One of the most memorable experiences, I've ever had period. The staff were patient, funny, and friendly. Definitely would take friends to do this again. One of the most memorable experiences, I've ever had period. The staff were patient, funny, and friendly. Definitely would take friends to do this again. 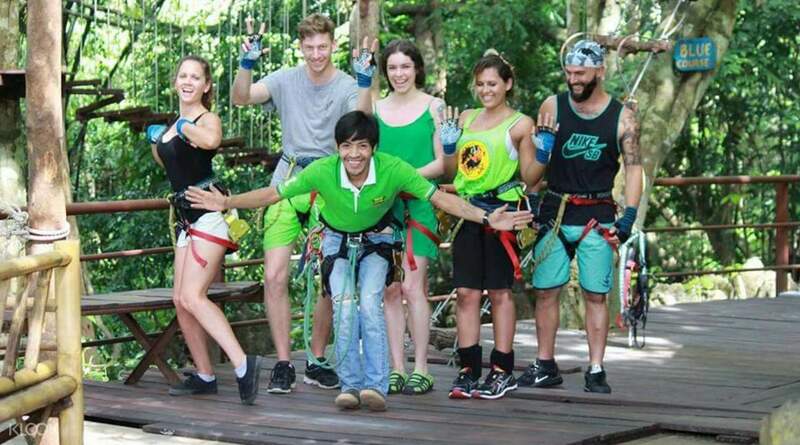 The Krabi Tree Top Adventure was an amazing and challenging experience as a whole. The park was well maintained and it was clear that safety was the number one priority. Training was provided by the staff to ensure we were well prepared for the upcoming obstacle courses. There were 4 stages, with increasing difficulty. There were many activities in each stage, such as walking on a tightrope, zip lining as well as rock climbing. 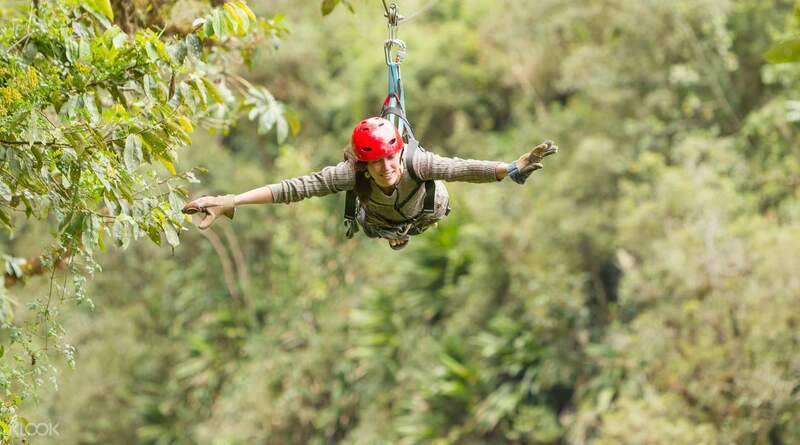 This is the perfect place to conquer your fear of heights! 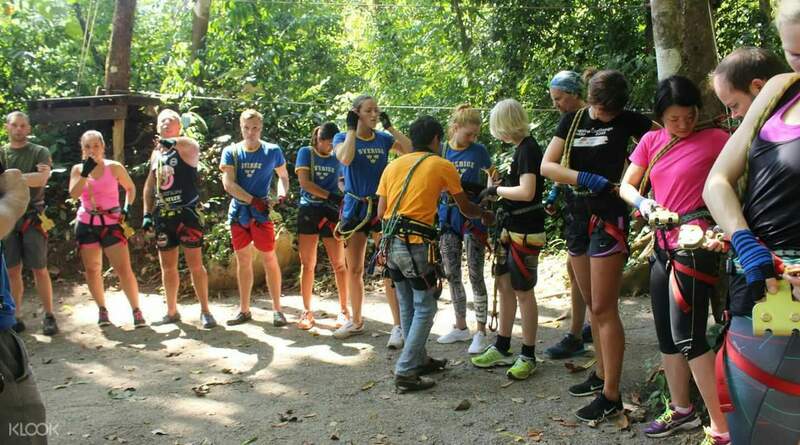 The Krabi Tree Top Adventure was an amazing and challenging experience as a whole. The park was well maintained and it was clear that safety was the number one priority. Training was provided by the staff to ensure we were well prepared for the upcoming obstacle courses. There were 4 stages, with increasing difficulty. There were many activities in each stage, such as walking on a tightrope, zip lining as well as rock climbing. This is the perfect place to conquer your fear of heights! Although the park is operating for 5 years, all the strings and ropes are in excellent conditions. I guess they do regular check up and maintenance for safety. It is recommended to try out. They have 4 courses to complete with the upgrading difficulty. If you are over 18, it is doable. Please do try. Staff are also polite and hospitality. Although the park is operating for 5 years, all the strings and ropes are in excellent conditions. I guess they do regular check up and maintenance for safety. It is recommended to try out. They have 4 courses to complete with the upgrading difficulty. If you are over 18, it is doable. Please do try. Staff are also polite and hospitality. my husband loves extreme sports but I'm not as extreme as he is, so we bought this package for our trip to krabi, and it turned out to be a great fit! i loved the zip lining and he thought the skateboard was a blast. we got our tickets immediately after we booked, so that was great too. will bring friends over next time! my husband loves extreme sports but I'm not as extreme as he is, so we bought this package for our trip to krabi, and it turned out to be a great fit! i loved the zip lining and he thought the skateboard was a blast. we got our tickets immediately after we booked, so that was great too. will bring friends over next time! Awesome experience. My best trip package in Krabi. Awesome experience. My best trip package in Krabi.